Jesse and I set off to Botswana from Zimbabwe with our newfound friends - a guy named Kelly from Botswana, his girlfriend Justice (visiting from New Zealand), and his younger sister Isabel. They had an SUV so we made a full car, but it was so much better getting to road trip in their car vs. taking another small, squishy, hot bus. Not to mention great company! 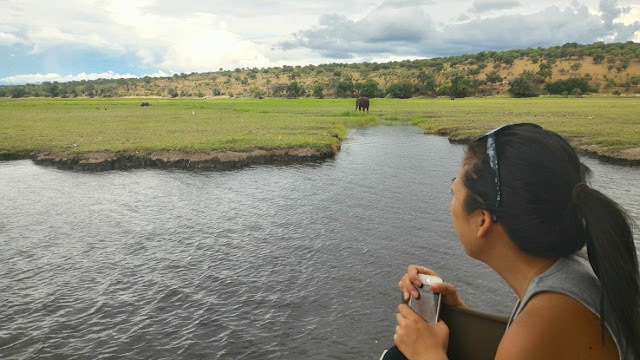 Our first stop was Chobe National Park in Botswana, which is another place that is famous for seeing a lot of safari animals. 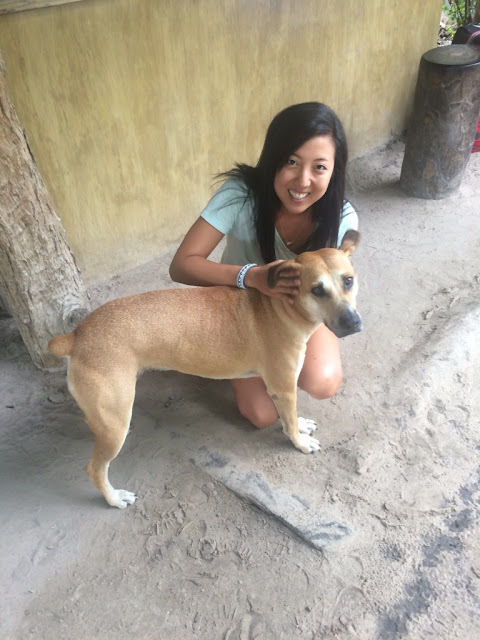 Jesse and I had planned initially on skipping Chobe (does it sound super snobby if I claim "animal overload" is also a thing, much like "temple overload" in SE Asia??) - but it was on the way to our final destination, and we were more than happy to add on a day to hang out with Kelly, Justice, and Izzy. 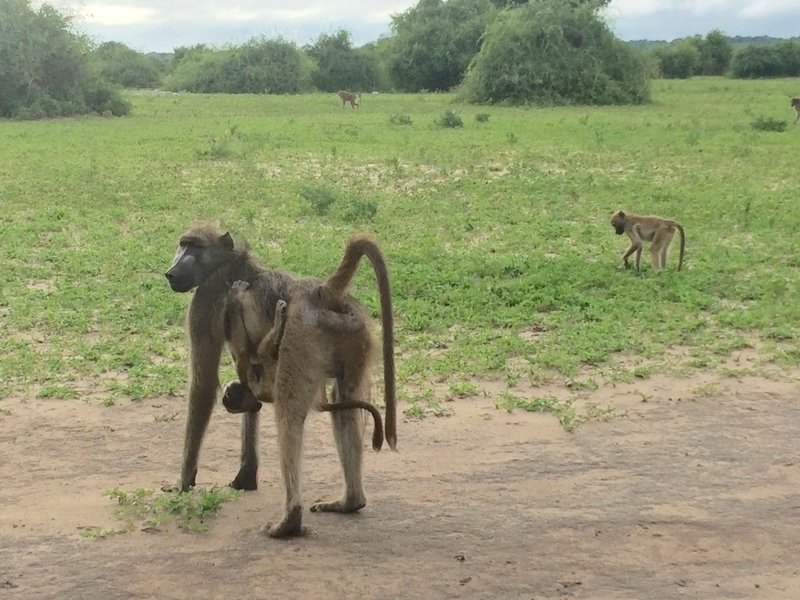 Chobe National Park is another park where you can see tons of animals. 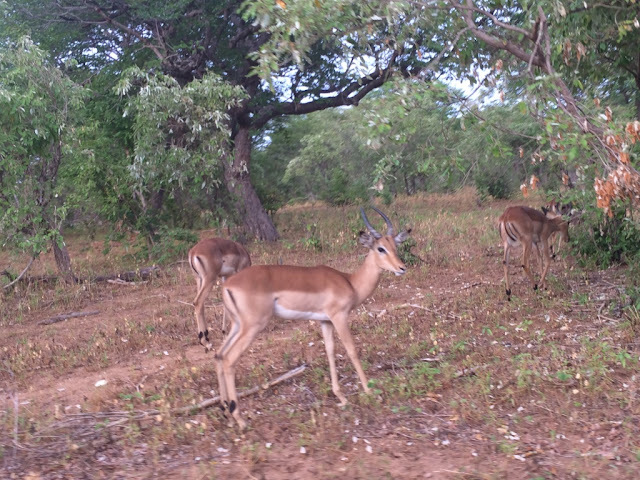 It's notable because this park also allows for self-drives - some others don't and force you to go with a guide. 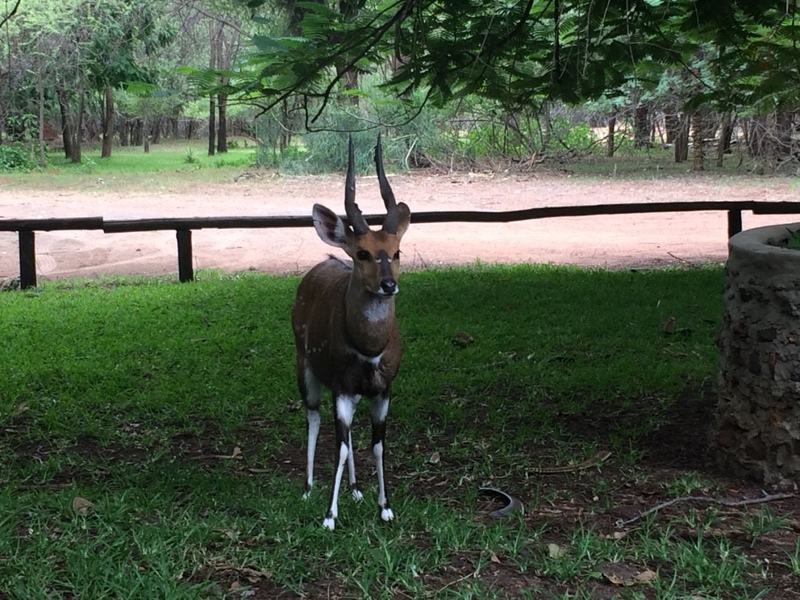 Some of the animals include elephants (so, so many elephants), baboons, buffalo, 80 kinds of deer (I get all the kinds confused by now; there's okapi, and kudu, and gazelle, and antelope, and bushbucks, and klipspringers, etc. etc. etc. ), and BIRDS. 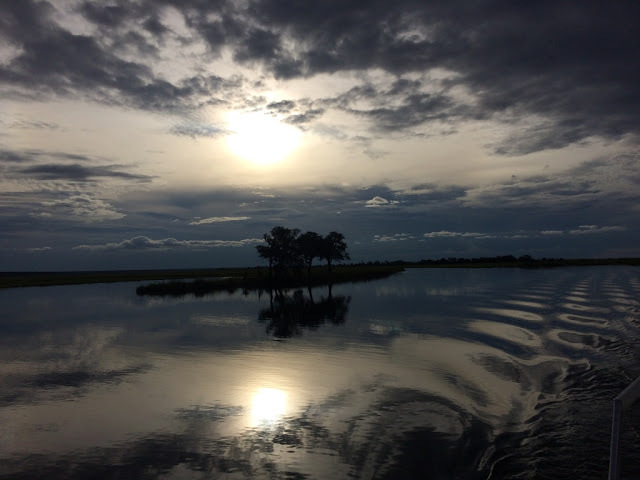 Apparently Chobe is an amazing place to go if you're into birds. 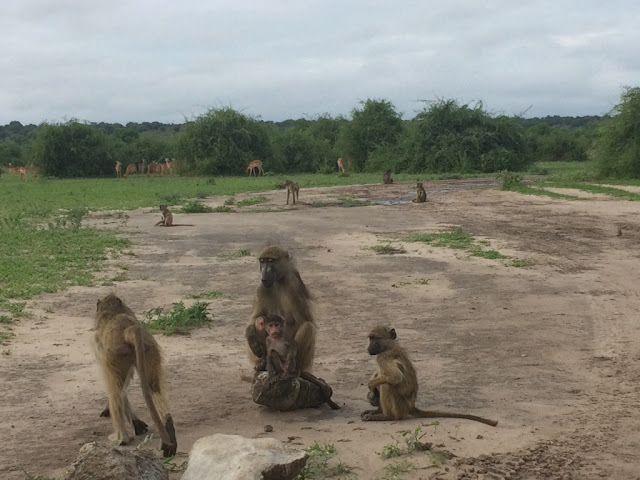 The best part of the entire thing is that Kelly and Izzy grew up in Botswana, so their knowledge of animals and such is INSANE. It's better than going with a guide. Kelly could literally just see something and go, "Oh, that's a male fish eagle - they live in pairs and mate for life, so his partner must be somewhere around - also, that one is young because of his feather pattern and they live up to 20 years......" (disclaimer: none of those previous facts are true. 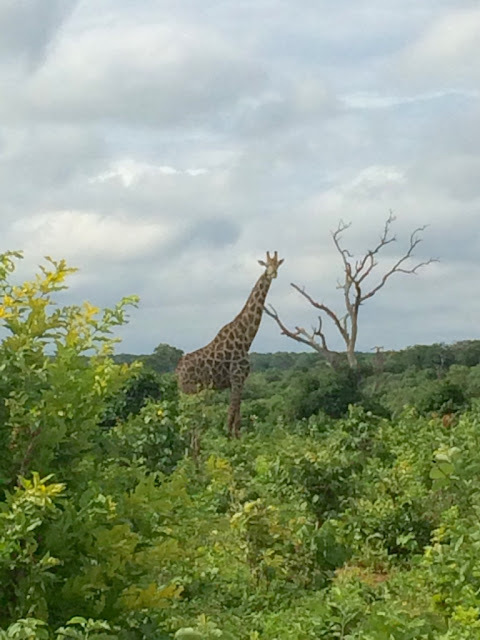 I was just trying to convey how baller it was to have Kelly as our personal guide on our safari). Seriously, I kept thinking if I was showing people around NYC, I'd be so useless. Like, "Oh, there's the err...Empire State Building....I'm sure it's old but I don't know how old. Oh and.....there's another building. Oooh! There's the deli where I once got a turkey sandwich!" Whomp. Don't come to NYC expecting the same baller level of tour guide-ness, guys. 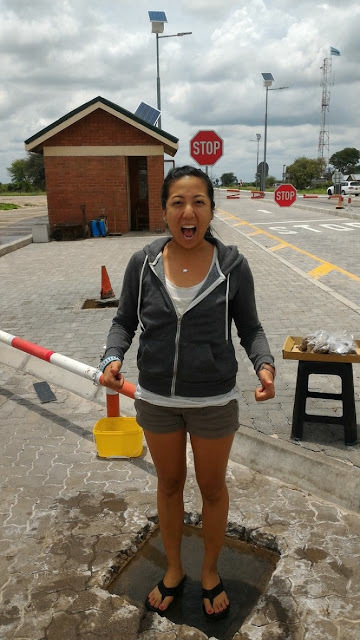 Crossed the border from Zim to Botswana! 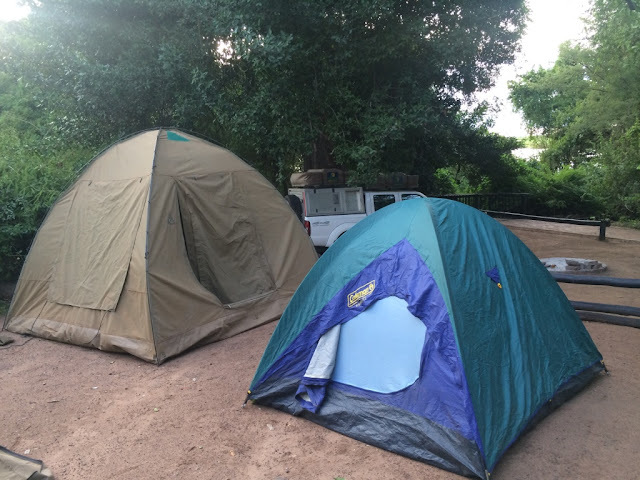 Kelly and crew were camping for the night, and they had extra camping gear for us to use! (Seriously, who are these angels??) After we dropped by the lodge in Chobe and checked in, we all signed up and went off on a Chobe boat safari (which Kelly highly recommended) - unfortunately (or fortunately), there was not unlimited booze this time around - but stunning, nonetheless. This is one of the 800 types of deer that I can't remember. Maybe it's a gazelle? I don't know. How cool is it though, that its leg markings look like bones?? 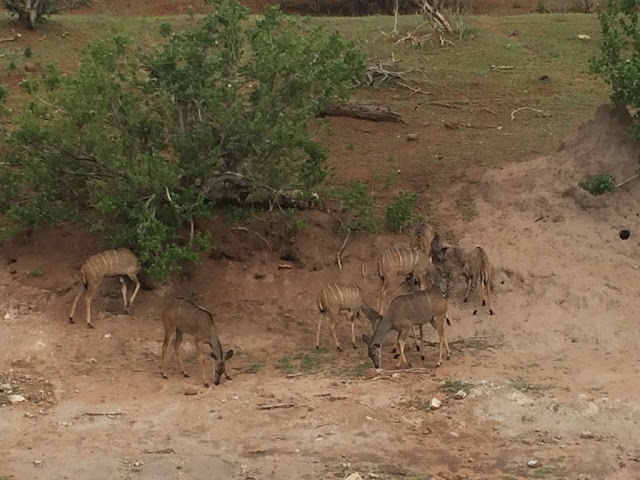 A bunch of kudu - which is the only one I recognize because they have white stripies on their backs! 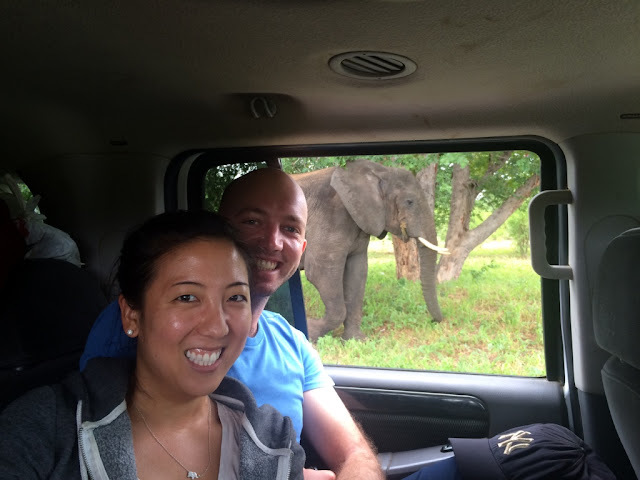 We found an elephant! Which started crossing the river - it uses its trunk as a periscope!! HOW cute is that. Now, I present a photo series titled "Elephant getting out of water." Photographer: Connie Wang. 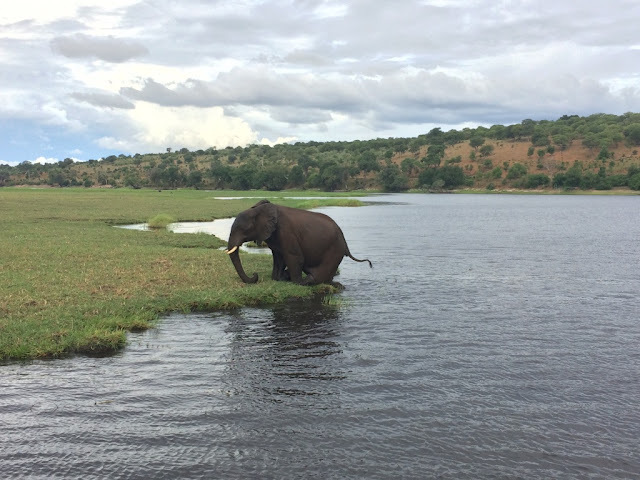 Photo 1: The elephant gracefully plops both front legs onto bank. 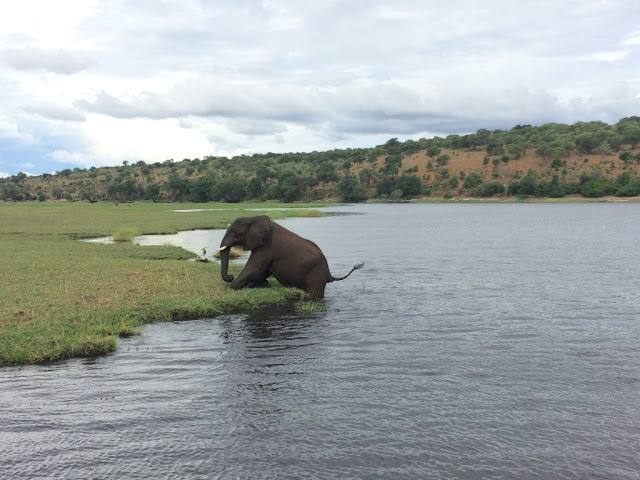 Photo 2: The elephant drops to his knees with his front legs to leverage his weight in getting out of the water. Photo 3: Tail erect, the elephant slogs his back legs onto the bank as well. Photo 4: All four legs are currently on knees. 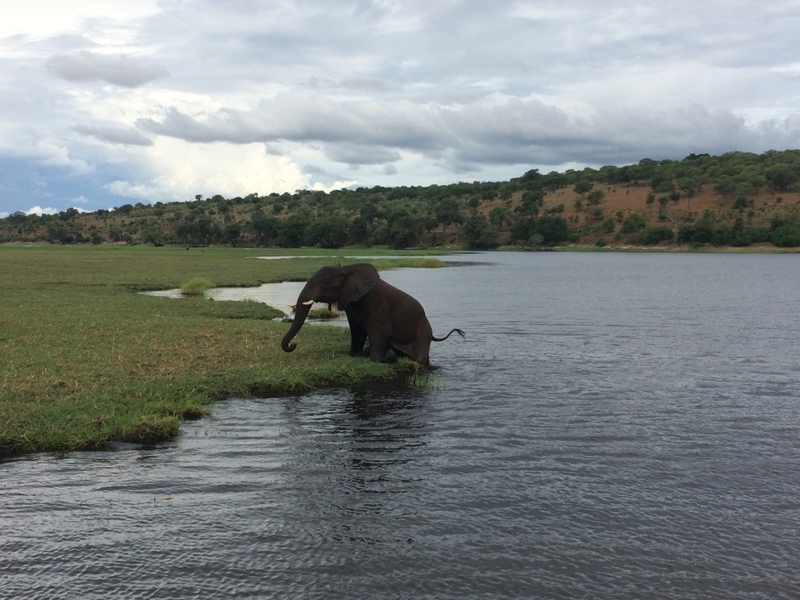 Photo 5: The elephant stands up. Success. 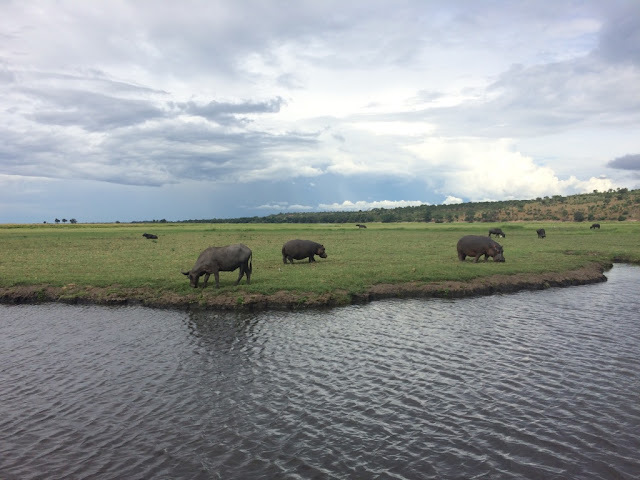 This hippo on the right started approaching this mama hippo and her teenage-sized child. 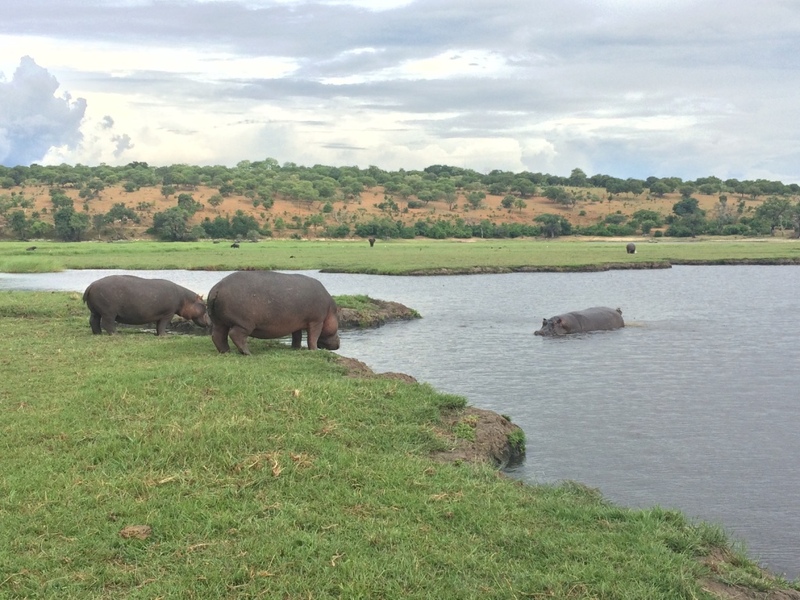 Hippos are very territorial, so this mama hippo went into the water to defend and mark her territory. And the way they do this is by swishing their tail super fast like a helicopter, while flinging urine and feces bits everywhere like a giant fountain. I have a video. You can request to see it when I get back if you'd like. 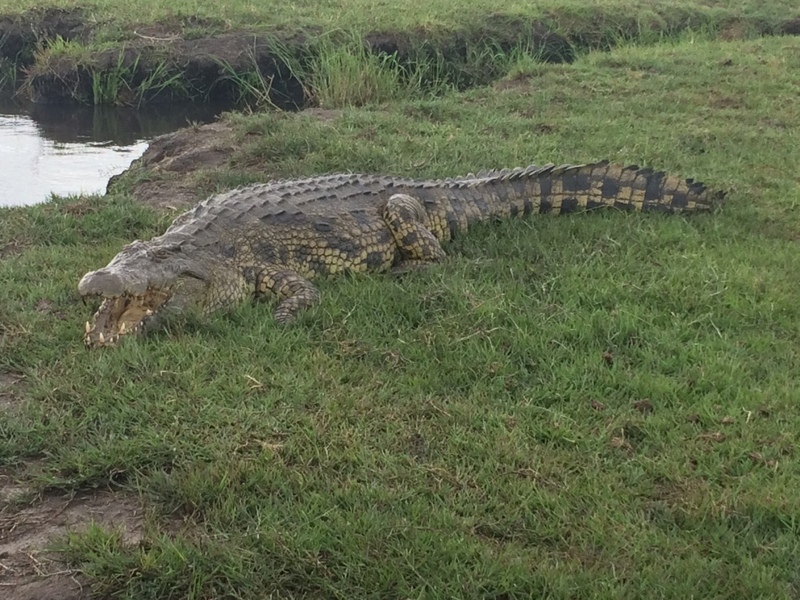 And then we found this giant croc. They open their mouth as a way of temperature control. 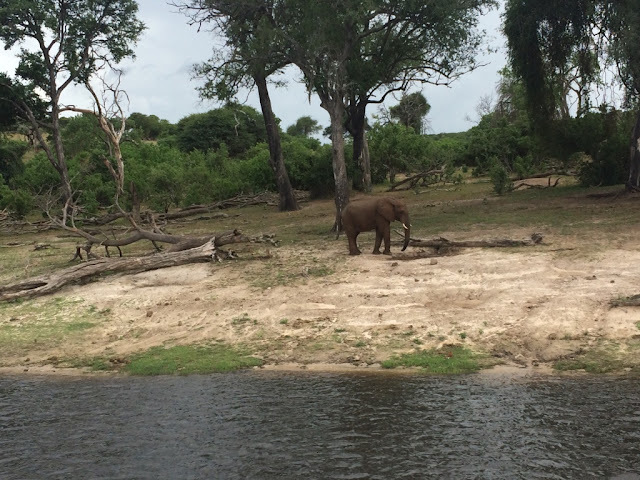 River safari views were INCREDIBLE. 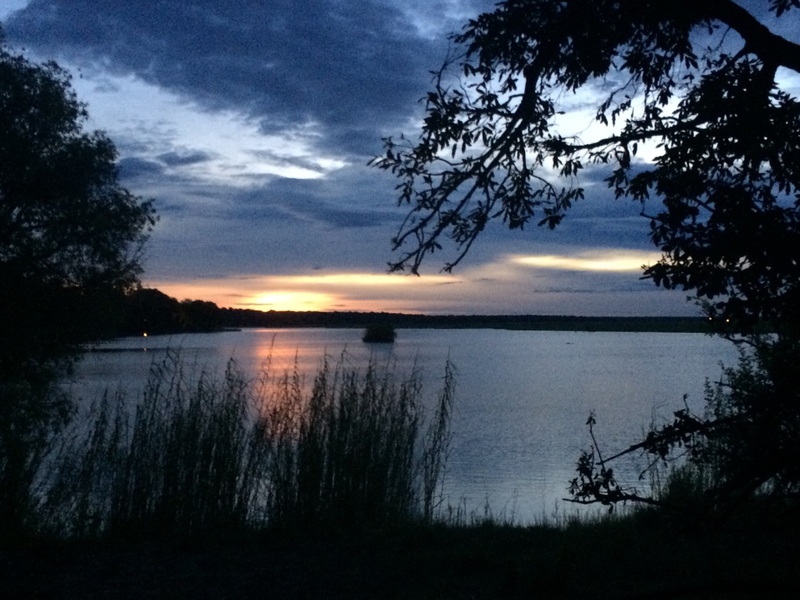 After the lovely cruise (and on a serious sugar high), we headed back to our campsite and watched the sunset. Kelly, Izzy, and Justice's tent on the left; our tent on the right. It was like sleeping in a sauna (and we only had one mattress, so I luxuriated on the mattress like a queen while Jesse had to sleep on the floor). And our campsite had a bar where you could enjoy the sunset from as well! First animal sighting of the day! Some kind of deer. I'm calling you Bambi. 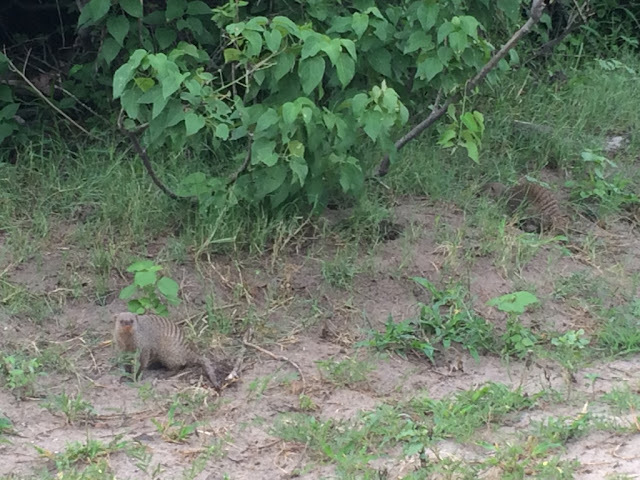 A mongoose. Which, did anyone ever think this was some kind of bird or goose-like animal when they were younger?? Me neither. Such a misleading name. 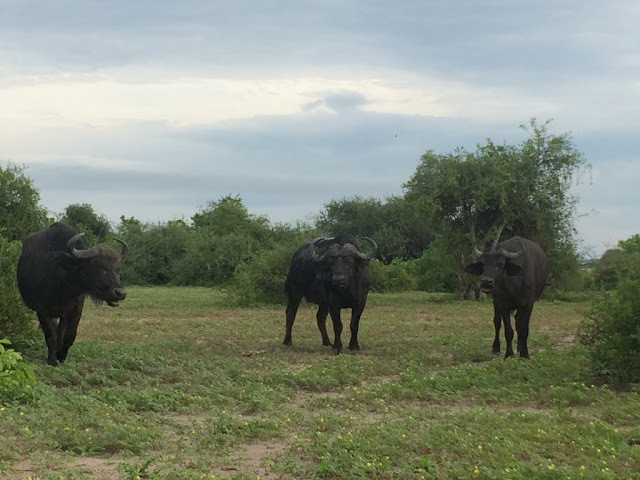 These are cape buffalo. 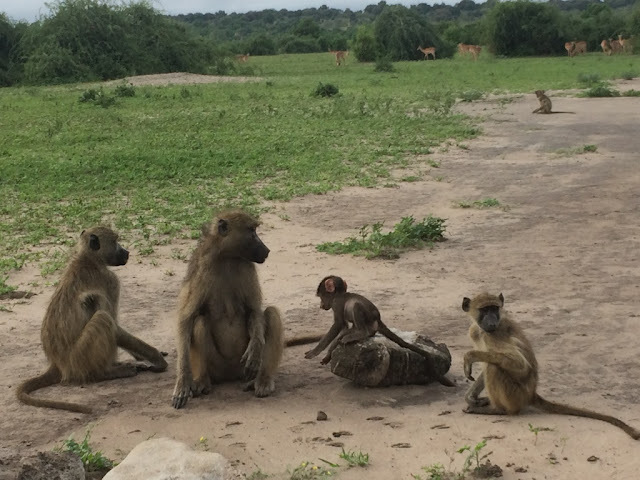 Which yes, you did remember correctly, are one of the Big 5! 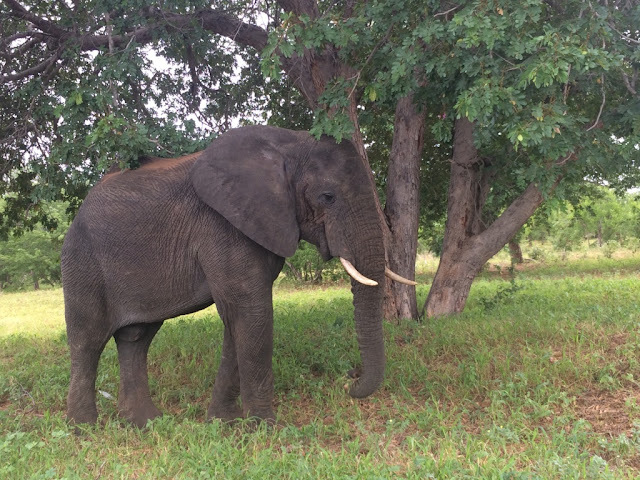 We saw tons of animals and I loved our self-drive through the park - but we were a smidgen sad that we didn't see any elephants on the drive, as elephants are one of the animals that are most prevalent in Chobe. 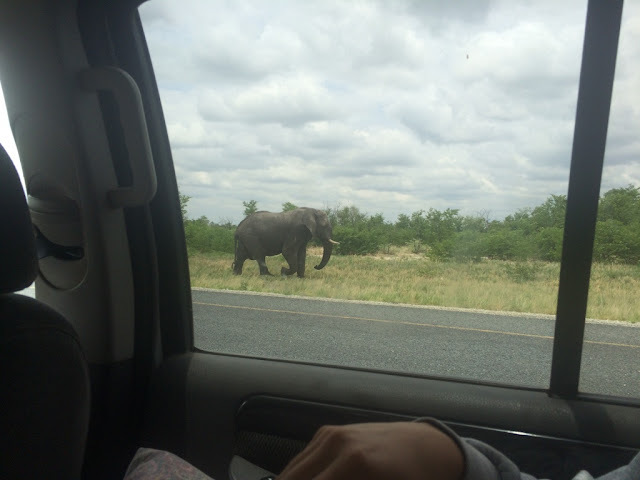 As we exited the park, though, literally 100 feet outside the park gate - ELEPHANTS CHILLING BY THE HIGHWAY. NBD. 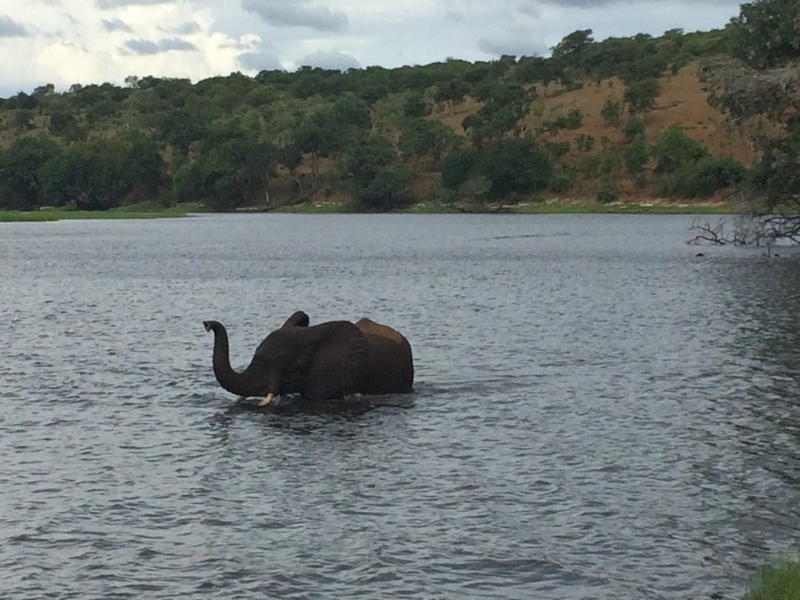 Izzy took this photo of the elephant RIGHT OUTSIDE OUR WINDOW. 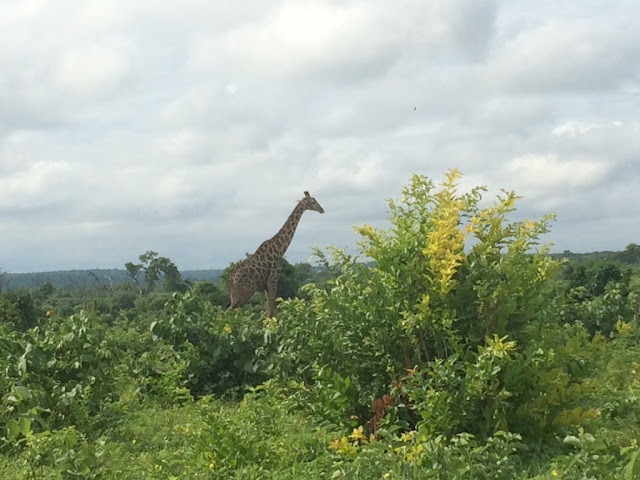 And then he decided to cross the highway. There must be a joke in here somewhere. 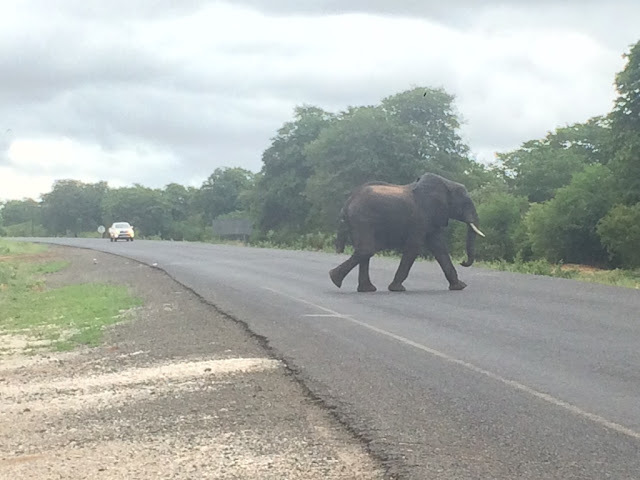 Not even kidding, in the rest of our drive through Botswana, we saw in total at least 30 more elephants by the side of the highway. 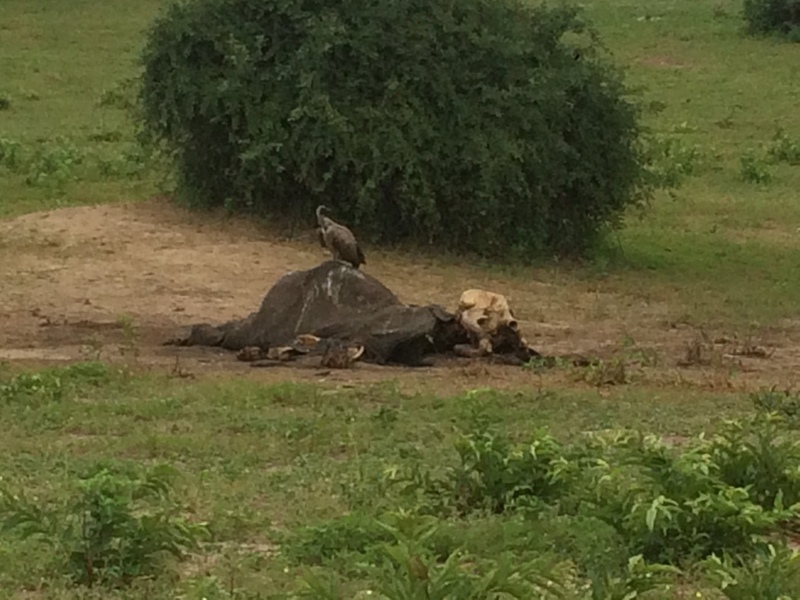 Just chilling, and usually in groups of 1 or 2 (male elephants are usually solitary). 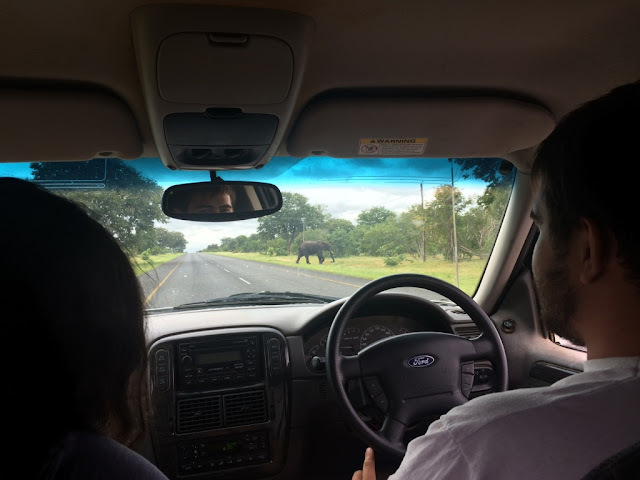 It got to the point where we'd be cruising down the highway, and every 10 minutes or so, somebody would be like "oh look, there's another rando elephant over there." Elephant quota success. 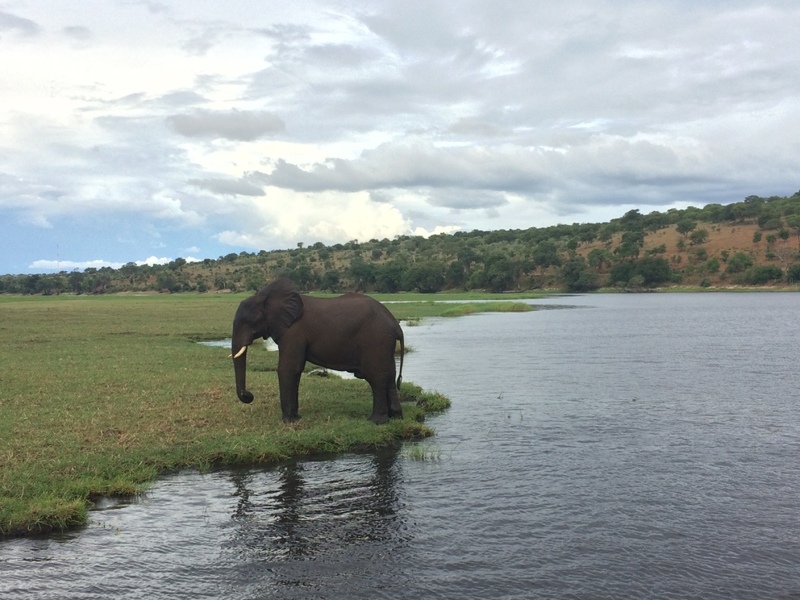 Oh hey, just another rando elephant. 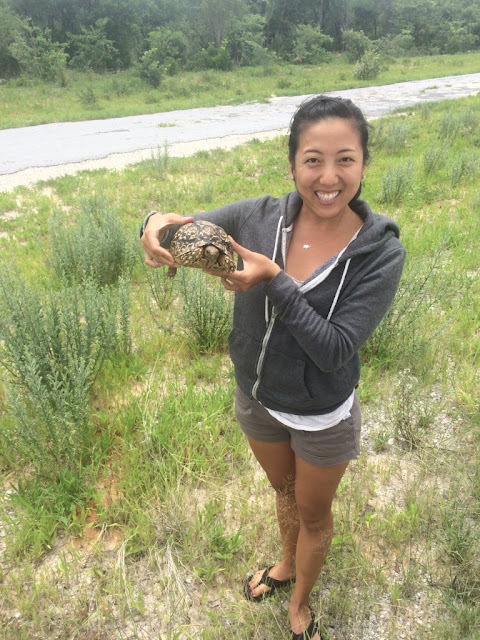 And then Kelly spotted a leopard tortoise by the highway and stopped and let us take photos with it! After Chobe, Kelly and crew drove us a couple hours to the town of Nata, where they dropped us off at the bus station and we said our good-byes - they were headed back to their hometown of Gaboroni, while Jesse and I were headed West towards the city of Maun, Botswana - with the intention of eventually heading into Namibia. It was sad to part but such an excellent part of the adventure! Imagine - some random guy Jesse met in line to get fried chicken, ended up being an incredibly generous, amazing, knowledgeable friend who we got to tag along with through Botswana. Another amazing part of traveling. 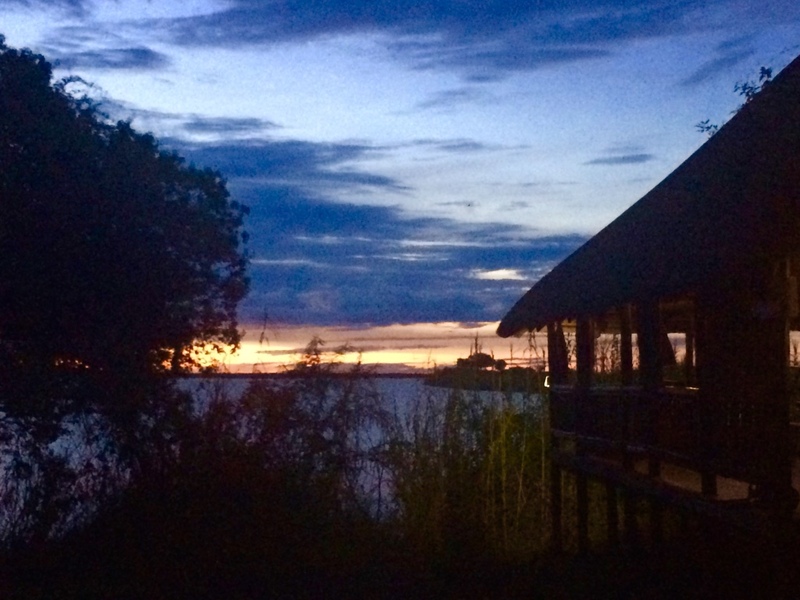 Jesse and I managed to hop aboard the next bus to the city of Maun, Botswana - just because it was on our way, and this city is well known as a popular backpackers' spot. You can take trips to the famous Okavango Delta here - it's a body of water where you can see a ton more animals and ride cool traditional canoes. 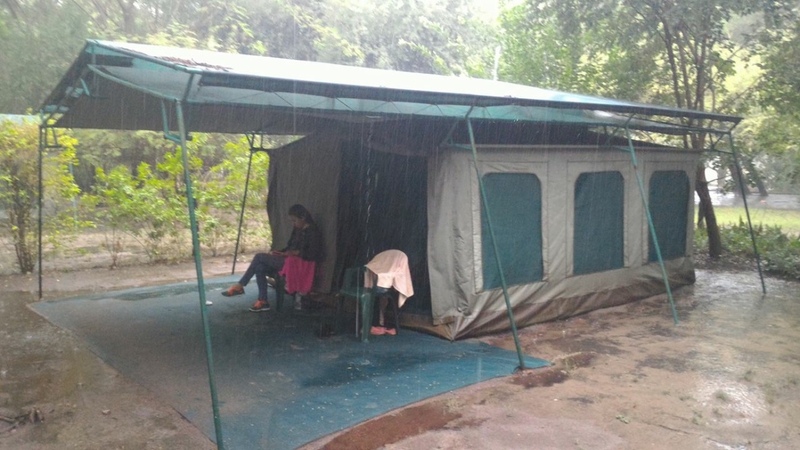 But it rained the entire 1.5 days we were in Maun, so we took it easy and relaxed instead (no complaints from me - as said before, I'm all animal'ed out). Our deluxe campsite in Maun (+rain). So luxe. Crocodiles only attack people from the water. So apparently if they're on land and you take a flying leap onto land next to them, they can't attack people. They'd likely just scoot into the water and attack you from there. 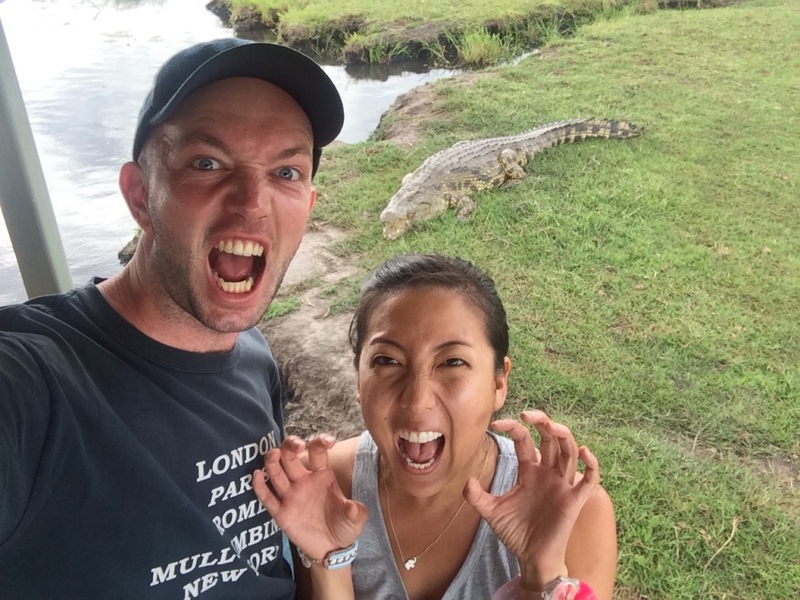 Though I challenge this guide fact, because I feel like I've seen YouTube vids of crocodile land attacks......maybe they were alligators? Australians pronounce "Botswana" as "Botswanerrrrr". Because they can't seem to get their "r" sounds in the right places. 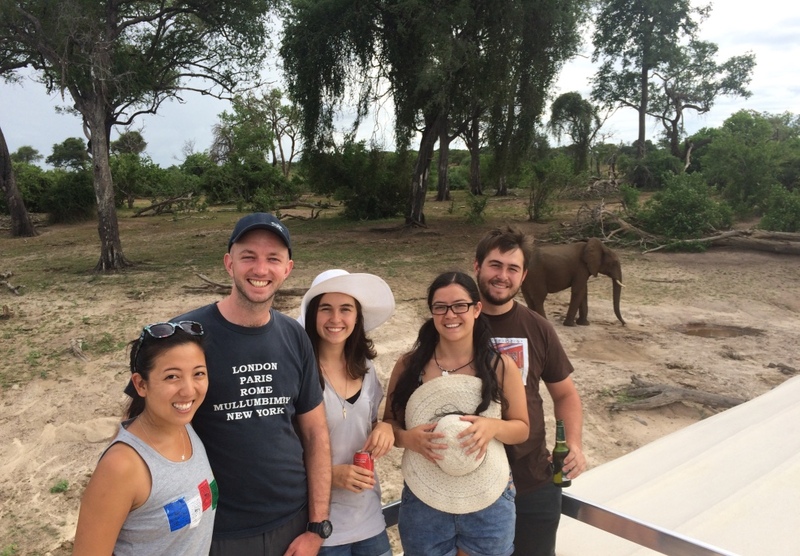 Not only are there elephants everywhere by the side of the highway in Botswana, but we also saw tons o' zebras. DRIVING DOWN THE HIGHWAY IN BOTSWANA IS THE CHEAPEST SAFARI YOU CAN TAKE. You heard it here first.